The fact that the iPhone X, X S X S Max, and X R Do not have home buttons , you have to learn some new gestures. There's the home gesture, the multitasking gesture, and even a new way to access Apple Pay, among other things. But a less common action that has problems due to the lack of a home button is to take a screenshot. Fortunately, it's still not very difficult, and there are actually some ways that you can do it. 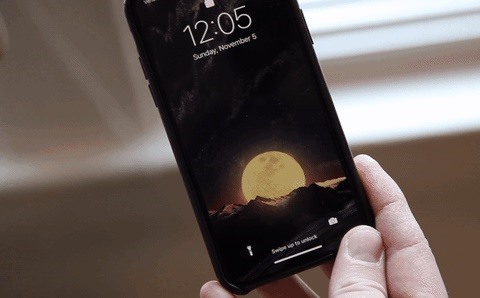 The first is unique to the iPhone X, X S X S Max and X R and the second option can be used with only one small change can be made to other iPhones. 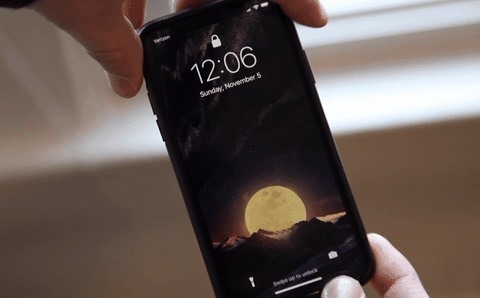 Instead of pressing the Home button and the Sleep / Wake button (aka Power button) as usual, all you have to do is press and hold the new Side button and the Volume up button at the same time hold. Incidentally, "Side button" is Apple's new term for the power button because it awakens far more than just the phone now. So just press your iPhone X, X S X S Max or X R continue both sides at the same time, make sure that your fingers are positioned over the side key and the volume up key, then have a screenshot! Because these devices run either iOS 11 or iOS 12, after you take a screenshot, you'll also see the new markup screen, which you can even annotate your image with. Note that holding down the buttons for too long will bring up the screen with the "slide off" button and the emergency SOS option. If you keep the keys above this screen, you will start the emergency SOS countdown timer to call 911, so be careful. It may take a few tries to get used to the new screenshot gesture, but it's very similar to most Android phones if you've ever used one of them. if that's the only reason is why you are using AssistiveTouch, Apple's on-screen tool for users with problems pressing keys and using swipe gestures, you can only take screenshot. Make sure that "AssistiveTouch" is the only one enabled in the "Accessibility Shortcuts" at the bottom of the "Accessibility" settings menu. Next, go to the "AssistiveTouch" preferences in the main menu "Accessibility" and choose how you want to take a screenshot. If you are scanning mainly, change "Single-Tap" to say "Screenshot". And if you still want to access the AssistiveTouch main menu, you can double-click on "Open Menu". To make the screenshot, click the button three times "Page". A gray home icon appears on the screen. Tap once to take a screenshot. The gray icon disappears temporarily, so it's not in the actual screenshot. If you do not want to use the three-click gesture Turn on and off the AssistiveTouch button on the screen. You can also add "accessibility" as a control in your Control Center. So you can just swipe down the control panel, tap the icon and select "AssistiveTouch". While you're here, I'd also like to point out that you can now record your screen without jailbreaking. It's a pretty straightforward process, but we've described how it works with a complete guide.